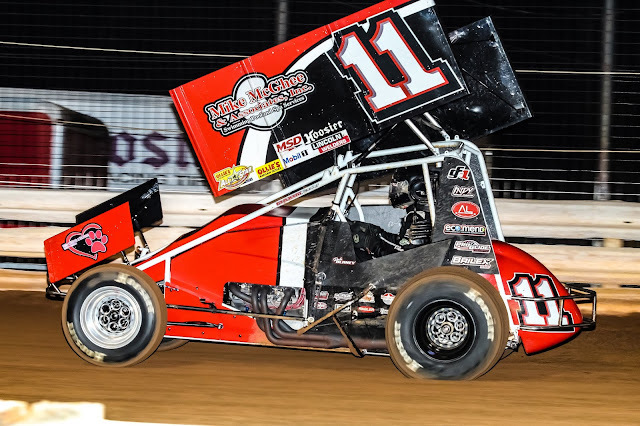 Mechanicsburg – This Friday’s All Stars sprint car show at Williams Grove Speedway is meant to honor its original winner. He was the first. He had one of the most recognizable names in motorsports history dating back to the 1930s. On tap at Williams Grove on Friday will be the annual Tommy Hinnershitz Memorial Spring Classic, honoring the late, great racer from Oley that holds the distinction of winning the first ever race held at the brand new Williams Grove Speedway back on Sunday, May 21, 1939. Hinnershitz won the race in what was called a “hard and heady” event to best the famed Joie Chitwood. Hinnershitz’s death in 1999 left behind an auto-racing legacy worthy of note by any standards. During his 30-year career spanning 1930-1960, “The Fying Dutchman,” as he was known, amassed seven AAA/USAC Eastern Big Car Championships, taking titles in 1949, 1950, 1951, 1952, 1955, 1956 and in 1959. He had garnered 103 total AAA/USAC feature wins with 19 taking place at Williams Grove. Hinnershitz set 43 AAA track records during his tenure and would compete in three Indianapolis 500s. At the time of his death, the 87-year old was ranked second behind Steve Kinser on the National Sprint Car Hall of Fame’s Top Sprint Car Drivers of All Time list. And Williams Grove will bestow even more worthy acclaim in the Big Chief’s honor this Friday night. Adult general admission for the April 12 racing program is set at $20 with students ages 13-20 admitted for just $10. Kids ages 12 and under are always admitted for FREE at Williams Grove Speedway. Keep up to all the latest speedway news and information by visiting the oval’s official website at www.williamsgrove.com or by following the track on Facebook and Twitter.